Neilson PLCC is a Mississippi-based, fast-growing general practice law firm with its workforce pushing outside the walls of their offices. Besides the 12 permanent attorneys, paralegals, and legal assistants, they also hire summer associates and interns/clerks. The highly dynamic team needed access to the applications and information contained in the desktops even while on the move and expected the same consistent experience as the regular desktops. Being mid-sized, they are in a better position to navigate new technology than the bigger firms. Apps4Rent virtual desktops allowed the law firm to take online all their client-related information including case descriptions, contact details, deadlines, case notes, task lists and much more. These became available to lawyers and staff, irrespective of their access location or the time; all the users needed was a browser. Our virtual desktops made even the travel time productive, which otherwise would have been “down time”. Associated functions like e-billing, contingency, collections, trust accounting, expenses, and productivity tracking could also be done from anywhere. After moving their regular desktops to Apps4Rent virtual desktops in the Cloud, the law firm had on-the-go access to the entire desktop work environment and all its, regardless of where the people were working. Being productive on the go meant competitive advantage and the ability to meet the strategic objectives faster. The move to virtual desktops proved to be a vital decision that streamlined the practice better and increased the effectiveness. 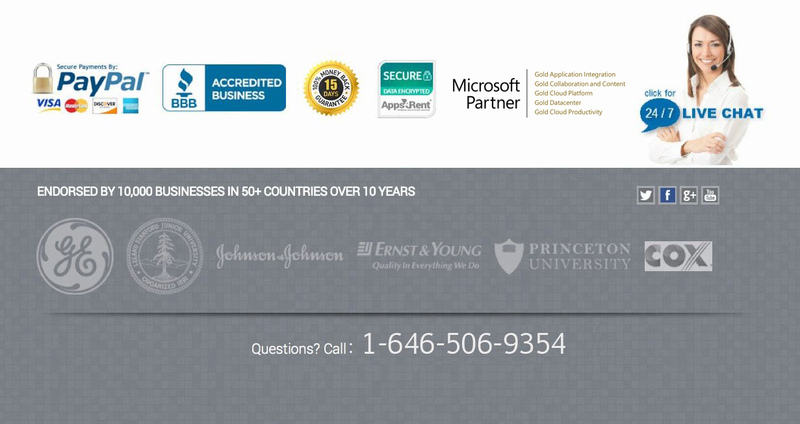 Apps4Rent is a Tier-1 Microsoft Cloud Solution Provider as well as a Microsoft Partner with Gold certification. We have been supporting 10,000+ businesses from over 50 countries – from Fortune 500 corporations to SMBs – with hosted technologies for more than a decade.